The offices of S. G. Priest Realtors not only represents decades and generations of dedication to the real estate industry, but it also represents a specific level of professionalism and commitment to the ease and enjoyment of life transitions from one home to another. You'll find examples of our success all across the community, ranging from upscale residential homes, investment properties, multi-family developments, land and lower priced homes. We partner with these clients and others to help them achieve their real estate goals. S. G. Priest Realtors was founded in 1956 and built around service and integrity. "Our Signs Say SOLD" is not just a slogan, it's a proven fact. If you are thinking of buying or selling a home, you owe it to yourself to call S. G. Priest Realtors. 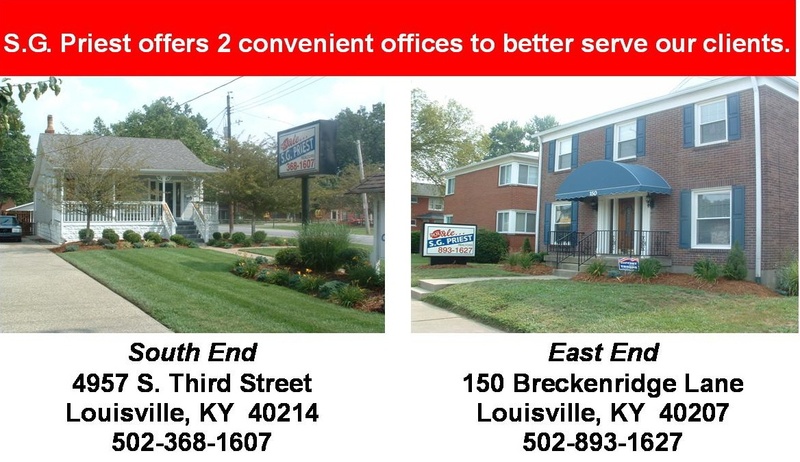 You'll be amazed at the difference in service. Professional negotiations can save you significant amount if your money. We average a 4.2% reduction in price when we negotiate for our clients. Our competitors average a 3.3% reduction. Who would you rather have negotiating for you in a real estate transaction?